Can you imagine what it feels like dropping your expensive iPhone in water? Have you ever dropped iPhone in water? There may be situations when you accidentally drop your iPhone in water tanks, sinks, pond, river or in similar things. But, dropping the iPhone in water is not as serious as you think. If you respond quickly and follow few steps immediately, you can save iPhone from water damage. Why should you know how to fix water damaged iPhone or save iPhone from water damage? Primary reason for reading this article and learn how to save your phone from water damage is that Apple does not cover water damage in its warranty. 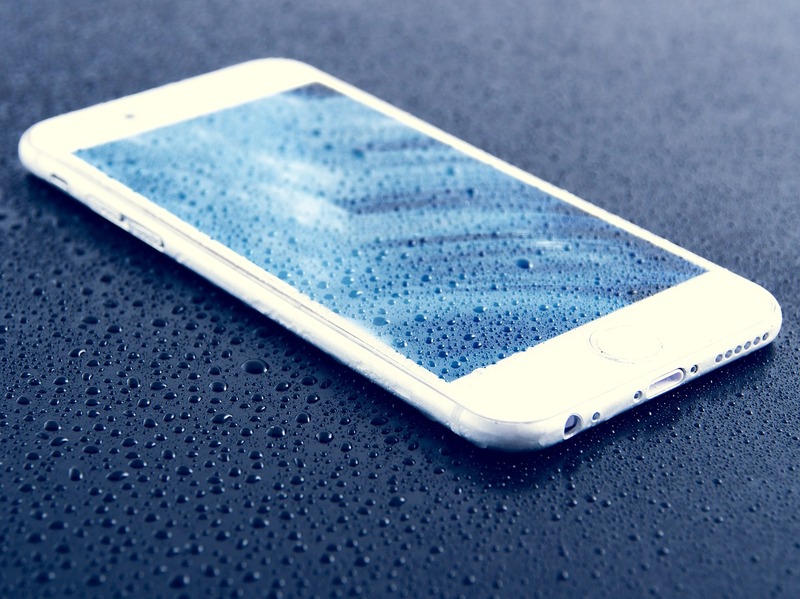 To detect water damage, Apple has already placed Liquid Submersion indicators on your phone. These indicators will turn half pink/half white with water damage. So, you will never get support from Apple Care if you dropped your phone in water and your iPhone stopped responding. So as an iPhone user, you should be prepared for this. If you accidentally dropped your iPhone in water or your iPhone had water contact in any way, you must do these things immediately to avoid any kind of water damage. 1. Remove your iPhone from water soon as you can. If you dropped in bucket or pool, it will be easier for you. But dropping it in pond or river will make it hard to get your phone off the water soon. 2. Turn it off immediately by holding down the power button. You should be very quick in this as a single drop of water may become the reason of short circuit. 3. Remove any kind of case or cover you are using on your iPhone. Some water cases can store drop of waters in corners. So, this step is also important. 4. Disconnect accessories immediately if plugged into the phone. 5. Use the towel to dry out iPhone. If you have the hair dryer, it will be the best thing. Wipe the excess and exterior liquid off. But, never try to use anything which can damage the iPhone’s internal components due to excessive heat. When you are done with removing any kind of water drops from your phone, next step is to use rice bag. Does rice help water damaged iPhones? I also had the same question about rice method to prevent water damage in phones until I saw it working. It really works and absorbs moisture. If you have silica gel packets, you can use it in place of rice. But rice is the common thing found at home but not all people keep silica gel packets. Any type of rice works in this method but try to avoid enriched rice as it leaves a lot of white powder. Get a zip-lock bag or similar kind of packet to make an air tight environment. Now fill the rice in that bag, then put your iPhone inside it and seal it shut with some air in the bag. Now, wait for around 36 hours. Have Patience, as it is the hardest but important step. You can also take more time if you can. After 36 hours, you can take your iPhone out of the bag or rice and turn it on. Most probably, you should see your iPhone working without any issues. But, it depends on the time it was in contact with water. If contact with water was for the longer time, there is the possibility that it had already damaged the phone before you started taking these preventive steps. What if your phone is finally water damaged? If your phone is not working after following the above-mentioned steps, you are unlucky. Your phone was damaged by water. So, go to Apple care and try asking for the repair. As I already said, they will not cover this repair in warranty, you will have to pay for the repair and it will be costly. In most of the cases, the cost is almost equal to buying an iPhone of the previous generation. But, always try to know the cost before taking any decision. If you ever find yourself in this unfortunate position when you dropped iPhone in water, do not be hopeless and respond quickly. You can still save water damage in iPhone dropped in water by following the steps and methods in this post. There is a good chance that you can still save it. I hope you found the answer to your query. And yes, rice help water damaged iPhones. If you have any doubt or query, post it in comments.